St. James Plantation is a gated community located in Southport, North Carolina. This golf community enjoys a mild climate year-round due to its location near the Atlantic Ocean. St. James Plantation offers resort-style living with a southern charm. Established in 1991, St. James Plantation offers new and resale homes. Currently St. James has 1,800 homes and upon completion 5,000 homes will be built. St. James Plantation offers world-class amenities with four different clubhouses and many on-site restaurants. Residents are free to join any of the clubs they choose within the Reserve Club, Founders Club, Members Club, or Players Club and can dine at any clubhouse restaurant. The Reserve Club is the newest club at St. James Plantation and offers delicious dining at the Reserve Club Grille. Mingling with neighbors is made simple with the clubhouse’s wine room, fire pit, and bar. The Reserve Club offers an 18-hole golf course designed by Nicklaus Design, which is the most challenging course in St. James Plantation. Designed by P.B. Dye, the Founders Club’s award-winning 18-hole championship golf course is located near scenic lakes and ponds. In addition to golf, an outdoor pool, and six Har-Tru tennis courts are located at the Founders Club. Members can also enjoy meals at Founder’s Grille or browse the pro shop. Located near the Woodlands Park neighborhood of St. James Plantation is the Members Club. The Members Club has an exciting 27 holes designed by three-time U.S. Open winner, Hale Irwin. The Members Club Bar & Grille or pro shop are great places to meet before a round of golf. Within the clubhouse, members can work out in the fitness room, relax in the sauna, attend water aerobics class in the indoor pool, or play tennis on the two Har-Tru tennis courts. Last but not least, the Players Club is located within the Regency Lakes neighborhood of St. James Plantation. The 18-hole Players Club golf course is 6,940 yards of beautiful land. Here members have access to a fitness center, an outdoor pool, and two Har-Tru tennis courts. The Regency Dock is also in this area of the Players Club and provides opportunities for fishing. St. James Plantation takes full advantage of its location on the coast of North Carolina. They have their own private beach just ten minutes away with an additional outdoor swimming pool. Also, St. James Marina Village has a full-service marina with 151 boat slips and 100 dry stacks. Harborside Market, located near the marina, offers on-site shopping and dining. There is no reason to stay indoors with endless outdoor amenities in a mild climate. Residents can enjoy live music at the Woodlands Park Amphitheater, have a party at the Waterway Park Pavilion, or enjoy some quiet time at the beautiful Regency Reflection Garden. Currently at St. James Plantation there are 1,800 residences. Upon completion, the gated community will have approximately 5,000 homes built by multiple builders throughout four picturesque neighborhoods. Homebuyers have the choice of new construction or resale homes. Woodlands Park is the newest of neighborhoods at St. James Plantation that offers single-family homes ranging from 2,210 to 3,096 square feet. These beautiful homes have at least three bedrooms, two bathrooms, and a two-car garage. Nature lovers appreciate the surrounding parks, nature trails, and lakefront amphitheater. SeaSide is an inviting coastal neighborhood that provides multiple single-family floor plans. These low-maintenance homes range from 1,280 to 1,940 square feet and have at least two bedrooms, two bathrooms, and an attached two-car garage. Many homes come with dens and spacious floor plans. Located just steps away from the marina, the condominiums at HarborWalk provide maintenance-free units. These spacious flats are either ground-level or upper-level units that range from 1,848 to 2,042 square feet with three bedrooms and three bathrooms. The units located on the upper level have a lofted second floor where the third bedroom and bathroom are located, ideal for hosting guests. The condos have their own community pool and gathering pavilion for residents to use. Regency Lakes is a neighborhood of low-maintenance cottage homes. These single-family homes offer spacious floor plans ranging from 1,693 to 2,340 square feet. Every home has at least two bedrooms, two bathrooms, and a two-car garage. Homeowners enjoy the scenic lake and park and its close proximity to the Players Sports Club. There are many events and activities hosted by the clubs at St. James Plantation that are alluring to all active lifestyles. Residents enjoy attending wine dinners with neighbors, listening to live outdoor concerts at the amphitheater, and participating in game nights and festivals. In addition to the bustling events program, it’s easy to make new friends with over 30 clubs and interest groups organized by residents of the St. James community. Whether it’s bowling, boating, bridge, poker, or arts and crafts, you’re guaranteed to find a club that sparks your interest. Wellness is key to an active lifestyle and there are many fitness opportunities to get the blood flowing. Walking and biking clubs take advantage of the beautiful trails throughout the community. Indoors, residents can attend yoga, Pilates, or tai chi classes. St. James Plantation is located in Southport, North Carolina off of Southport-Supply Road SE and St. James Drive. Great restaurants, art, and architecture are found just five minutes away in the historic fishing town of Southport. Residents can also take a short 30-minute trip to Wilmington for exciting nightlife, unique shopping, and museums. Home to over 100 championship golf courses, Myrtle Beach is just 45 minutes away from St. James Plantation. The Players Club is located in the Regency Lakes neighborhood of St. James Plantation. 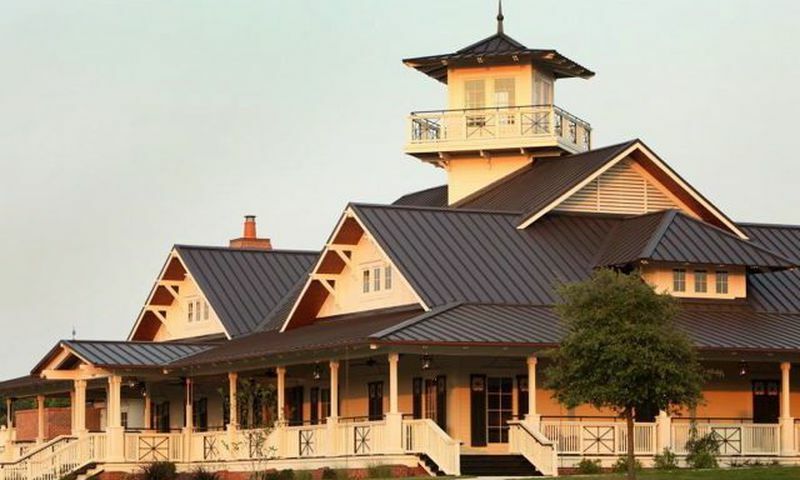 The Reserve Club opened in 2006 and is located in the center of St. James Plantation. The Members Club is located near the Woodlands Park neighborhood of St. James Plantation. The Founders Club is located around scenic lakes and ponds throughout St. James Plantation. The marina and marketplace is located near the Harborwalk neighborhood. This area provides shopping, a restaurant and tiki bar, and a marina with over 100 boat slips. St. James By The Sea is a private beach available to residents of St. James Plantation. It is only 10 minutes away from the entrance of the community. There are plenty of activities available in St. James Plantation. Here is a sample of some of the clubs, activities and classes offered here. There are 500 condo units at St. James Plantation. These spacious flats are either ground-level or upper-level units that range from 1,848 to 2,042 square feet with three bedrooms and three bathrooms. The units located on the upper level have a lofted second floor where the third bedroom and bathroom are located, ideal for hosting guests. The condos have their own community pool and gathering pavilion for residents to use. Parking is available in lots near the buildings. The single-family homes at Woodlands Park are ranch-style homes. Woodlands Park is the newest of neighborhoods at St. James Plantation that offers single-family homes. These homes range from 2,210 to 3,096 square feet and have at least three bedrooms, two bathrooms, and a two-car garage. There is a large variety of single-family homes in the SeaSide neighborhood. These low-maintenance homes range from 1,280 to 1,940 square feet and have at least two bedrooms, two bathrooms, and an attached two-car garage. Many homes come with spacious floor plans and the option of adding a den. Regency Lakes is a neighborhood of low-maintenance cottage homes. These single-family homes offer spacious floor plans ranging from 1,693 to 2,340 square feet. Every home has at least two bedrooms, two bathrooms, and a two-car garage. We wanted to live close to Southport and the beaches so St. James Plantation was the perfect fit. The clubhouse and amenities make us feel like we are living in a resort every day. The homes are incredible and the builders do a great job. We own a fantastic little condo here right on the golf course. It's the perfect size for us when we're here during the winter months. The community has a ton of amenities and 4 golf courses. My wife and I both golf so we love it! The restaurants are wonderful, the community is really well managed and our condo is perfect. We recommend it to anyone. 55places.com is not affiliated with the developer(s) or homeowners association of St. James Plantation. The information you submit is distributed to a 55places.com Partner Agent, who is a licensed real estate agent. The information regarding St. James Plantation has not been verified or approved by the developer or homeowners association. Please verify all information prior to purchasing. 55places.com is not responsible for any errors regarding the information displayed on this website.